Look no further...this beautiful home is the one! 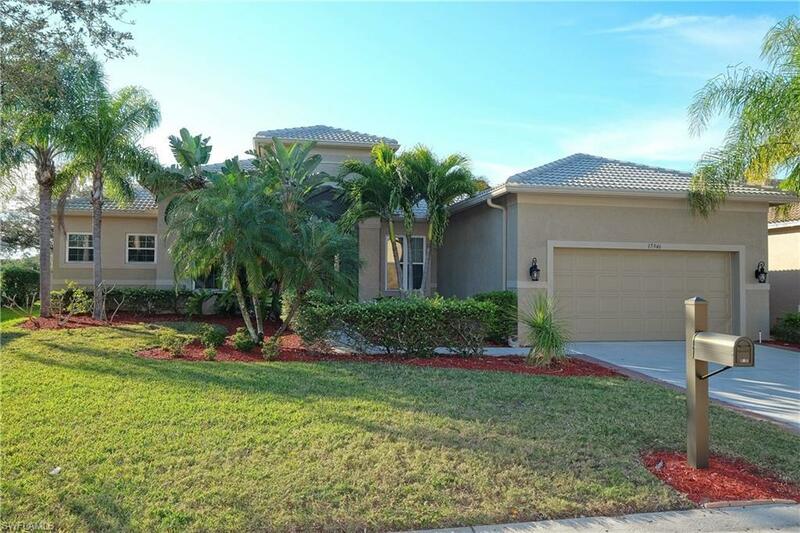 Sitting on a nicely landscaped lot in the gated community of Colonial Shores, you will see the unique open floor plan of this lovely, well taken care of 3 bedroom + den, 2-1/2 bath home! The upgrades from 2013 include: complete a/c system, heated saltwater pool w/ spa & brick paver deck, new windows in the front, polished travertine floors, new carpet in bedrooms, Whirlpool Gold appliances, surround sound/speakers throughout the house, external speakers outside and around the pool, outside lighting, inside paint, window treatments, fans & lighting, crown molding, gutters & down spouts & outside paint in 2017. Colonial Shores is minutes from Ft. Myers, Sanibel and Captiva Beaches, dining, shopping and RSW Airport. HOA fees include Cable and High Speed Internet. Come see! Make an appt. today! !